I am running ARW with a coarse grid and 1 nested grid. The grid ratio is 5. I extracted the coordinates of the mass points from the output files (variables XLONG and XLAT). 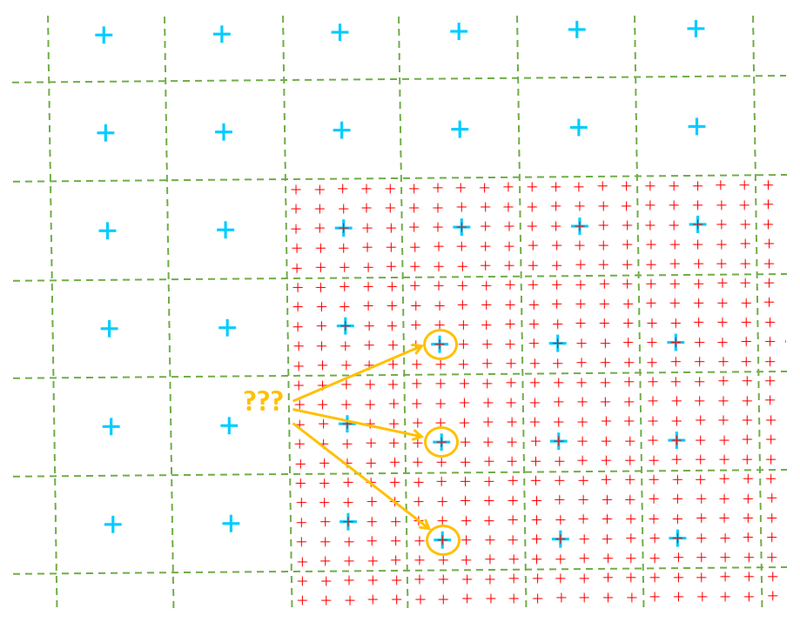 The following image shows the position of the mass points of the 2 grids : In blue the points of the parent grid, in red the points of the child grid. I notice a strange offset of most points of the parent grid which are contained in the child grid. Does anyone have an explanation for this observation?